Staff working for Highlands and Islands Airport Limited rejected a 2% pay rise last year. Air traffic controllers are threatening to go on strike in a dispute over pay. Staff at Highlands and Islands Airport Limited (Hial) rejected a 2% rise offered last year - calling for at least a 10% pay hike. The controllers, who are members of the Prospect union, will now vote on staging a series of one-day strikes beginning on April 1 and running throughout the summer. The ballot is set to open on February 11 and close on March 1. Prospect will also be asking members to vote on whether they wish to take action short of a strike. David Avery, Prospect negotiations officer, said: "Members do not wish to take this action, but have been forced into this position by the refusal of ministers to engage with the issue of air traffic controllers' pay." 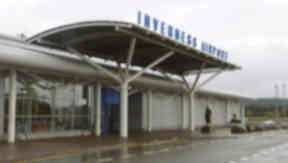 A potential strike action would affect airports including Benbecula, Dundee, Inverness, Kirkwall, Stornoway, Sumburgh and Wick John O'Groats.